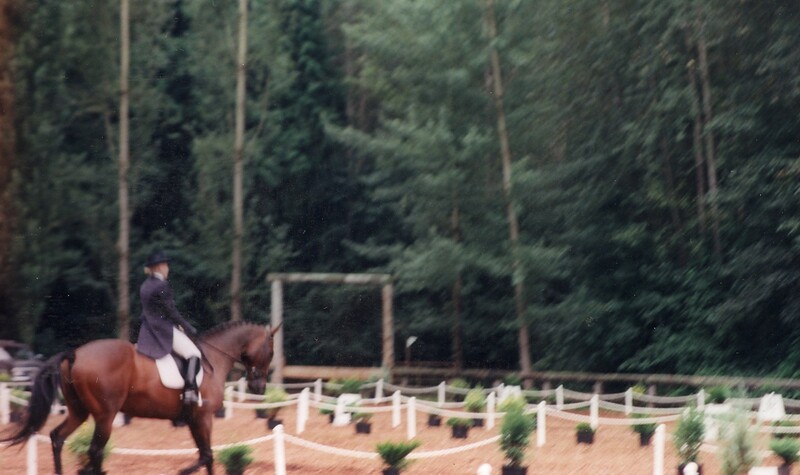 3 Day Eventing is an equestrian event which comprises dressage, cross-country and show-jumping. This event has its roots as a comprehensive cavalry test requiring mastery of several types of riding. 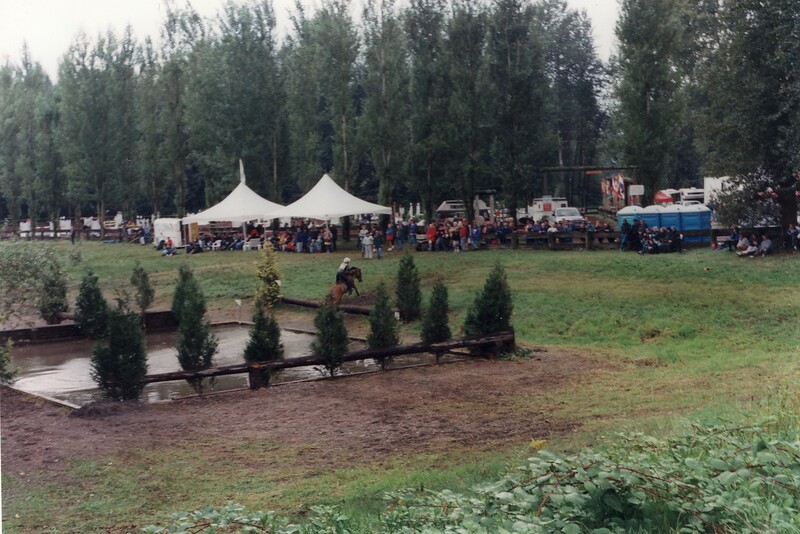 It has previously been known as The Military, Horse Trials, and Combined Training. The next phase, cross-country, requires both horse and rider to be in excellent shape and to be brave and trusting of each other. This phase consists of approximately 12-20 fences (lower levels), 30-40 at the higher levels, placed on a long outdoor circuit. These fences consist of very solidly built natural objects (telephone poles, stone walls, etc.) as well as various obstacles such as ponds and streams, ditches, drops and banks - based on objects that would commonly occur in the countryside. The course is usually several kilometers long. This phase is timed, with the rider required to cross the finish line within a certain time frame (optimum time). Crossing the finish line after the allowed time results in penalties for each second late. Penalties are also incurred if the horse refuses to jump a fence or if the rider falls off. The penalties for refusals or falls on cross-country are so severe that it is extremely difficult to finish in a top position if the rider suffers such fate. Fitness is required as the time allowed will require a strong canter at the lower levels, to a steady gallop at the higher events. In the past, 3-day events also included Phases A, B, and C along with Cross Country (Phase D). Phases A and C, Roads and Tracks, were several miles long and usually ridden at a trot to make the time. Phase B, Steeplechase, is a very fast gallop over several Steeplechase-like fences. All four phases together require an extremely fit horse at the top level of the sport. Before embarking on Phase D horses must be presented before a vet who checks that they are sound and their heart rate has recovered sufficiently whilst in the "ten-minute box". In our area, 3-day events do not have phases A, B or C.
The last phase, showjumping, tests the technical jumping skills of the horse and rider, including the suppleness, obedience, and jumping ability of the horse, as well as their fitness. In this phase, 12-20 fences are set up in a ring. These fences are brightly colored and consist of poles set in shallow cups. If the horse and rider are not in adequate shape or do not have the technical skill, then they will knock down the poles, incurring penalties. This phase is also timed, with penalties being given for every second over the required time. In addition to normal jumping skills, eventing showjumping tests the fitness of the horse and rider, generally being held after the cross country phase so the horse and rider will both be tired. First called the "Militaire," the Three Day Event has its roots as a test for horses used as cavalry mounts. The predecessor to eventing originally began as a form of endurance riding, without jumping or galloping. Such competitions included a ride in 1892, travelling a 360 mile distance from Berlin to Vienna (the winner completed the ride in 71 hours and 26 minutes). However, these competions did little to prepare horses and riders for actual combat, and so around the end of the 1800's, the French began raid militaires, which was the true forerunner to the three-day event. Eventing competition that resembles the current three-day were first held in 1902, but were not introduced into the Olympics until 1912. 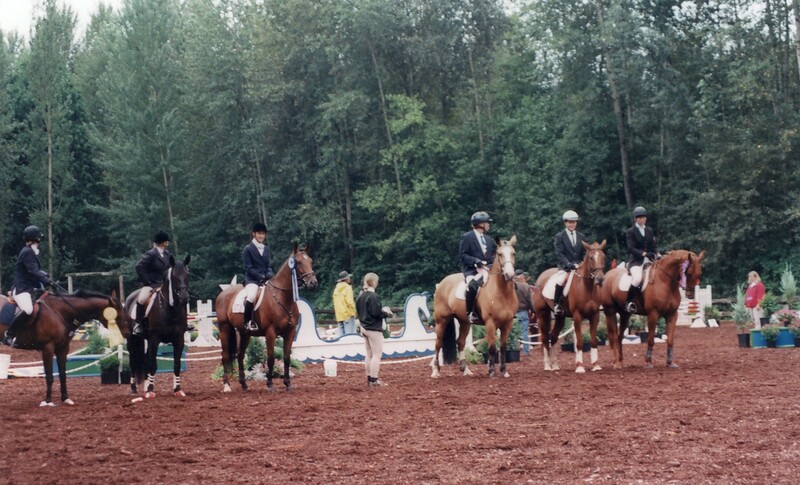 The dressage originally demonstrated the horse's ability to perform on the parade ground, where elegance and obedience were key. Cross-country began as a test of stamina, courage, and bravery over difficult terrain, important for a charger on long marches or if the horse was asked to carry a dispatch across country. The stadium jumping phase was to prove the horse's continuing soundness and fitness after the difficult cross-country day. The Olympic Eventing Competition was originally open only to military officers in active duty, mounted only on military charges. In 1924, the event was open to male civilians, although non-commisioned Army officers could not participate in the Olympics until 1956. Women were first allowed to take part in 1964. The second three-day competition to be held at Olympic level each year was the Burghley Horse Trials, first held in 1961. Burghley is longest running international event. The first CCI held outside of Britain on an annual basis was the Rolex Kentucky Horse Trials, held each year in Lexington since 1978. The newest improvement in cross-country safety is the frangable fence, which uses a pin to hold the log of an obstacle up. Should a horse hit the obstacle, the pin would break, and the horse would simply fall to the ground. This technique helps to prevent the most dangerous situation on cross-country: when the horse hits a solid fence between the forearm and chest, and somersaults over, sometimes falling on the rider (this fall has indeed caused the death of several riders, as well as horses). Leg protection for horses has also improved. Very little was used in the early days, even on cross-country. However, it is now seen on every horse and almost every level. Rules protecting riders have improved as well. Riders are now required to wear a safety vest on cross-country, as well as a jumping helmet with fastened harness when ever jumping. Many riders will also use an inflatable vest, which is attached to their saddle with a strap. If the rider has a fall, the strap that is attached to the saddle will pull out a pin in a CO2 canister that is in the riders vest. The vest will inflate and it protects the riders neck, back and abdomen. In the United States, one- and two-star level events usually will offer "with steeplechase" (the classic format). However, three-star events will now only offer the short format. The Rolex Kentucky Horse Trials, the only four-star in the United States, plans to alternate years between the short format and the classic format. In Britain, however, most plan to switch to the short format. This includes the 2 four-star 3-day events that are run in Britain, Badminton and Burghley, which will begin running the short format in 2006. Beginner Novice: X-C and Stadium fences 2 ft 7 in, ditch 4 ft, drops 3 ft 3 in, 300-350 m/min (meters per minute) on cross country. (Beginner Novice through Advanced is recognized by the USEA).